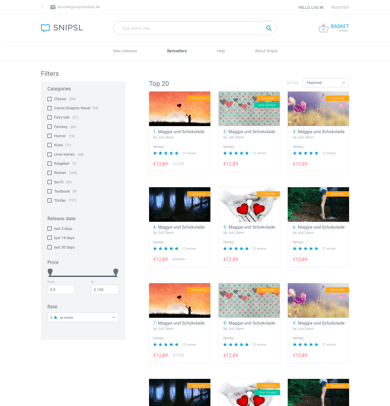 Snipsl is a platform for sharing stories and books for both readers and authors. 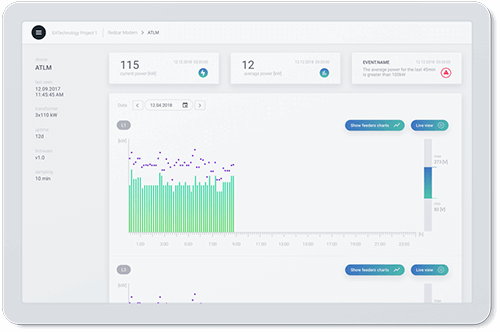 Check out our case study to see how Naturaily helped the company to make a working product out of a black box. Snipsl approached Naturaily, asking us for help. Their product was lacking documentation - it was a black box that needed lots of fixes and improvements. Features that had been worked on by previous IT teams working with Snipsl were not functioning properly, therefore, at that time, they were not implemented. 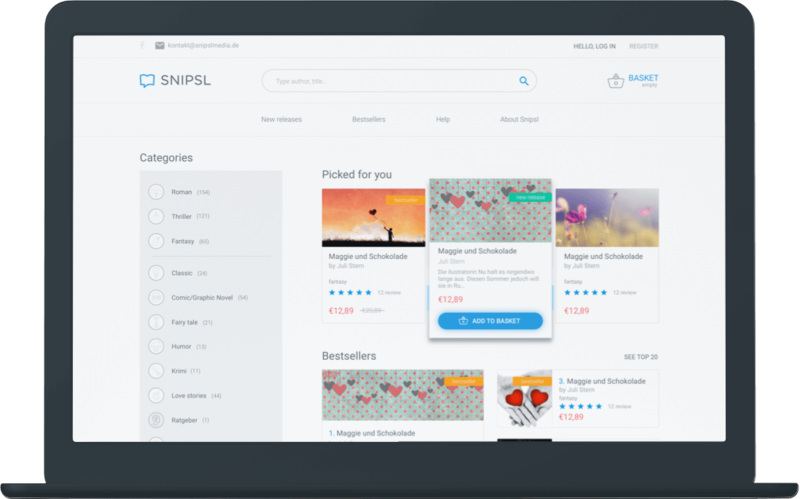 On top of the regular bug fixing and active maintenance of the service, Snipsl group requested implementation of a Shopify-based online store to provide steady income for the service as well as other minor but useful features. 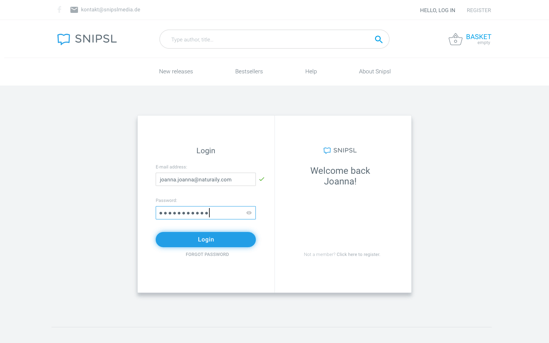 Naturaily has significantly improved already existing product by fixing issues left by previous Snipsl developers as well as creating new features and functionalities. 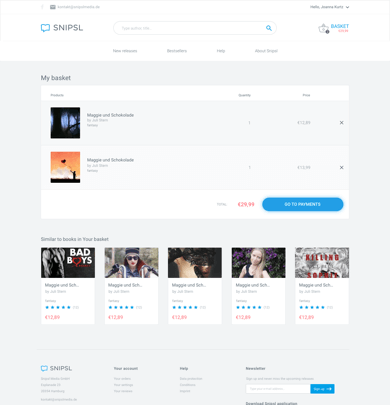 New Snipsl shop allows authors to earn money and provides first monetization model since the very launch of the platform. The shop offers hardcover versions of the books as well as Snipsl e-books. Survey system was added so authors can better interact with their readers. Now authors can not only share text posts but also sounds and pictures. Users can now like the stories with the heart icon and share them on Facebook and other social media. Since Snipsl is a Ruby on Rails application, AWS EC2 instance has been chosen for the server. 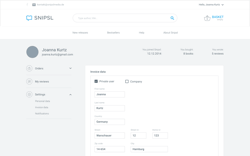 It opened a door for Naturaily to implement many other useful Amazon services, such as RDS PostgreSQL database, ElastiCache Redis, CloudFront, Route53 and VPC. Snipsl’s website utilizes React with Redux for the frontend which is stored on AWS S3. Mobile applications for iOS and Android were created natively. 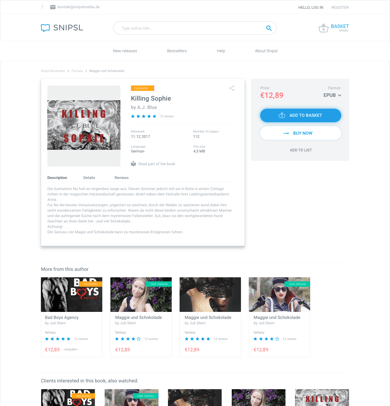 The e-shop stands strong on Shopify platform. Project has been managed using Kanban methodology. 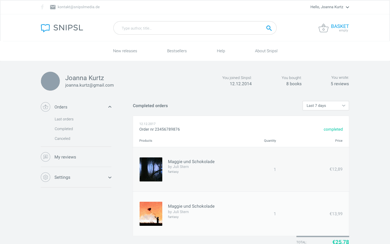 Successful cooperation has resulted in over 5000 active users, 900 books published by 500 authors, online shop and bug-free service. We’ve been maintaining partnership with Naturaily for over a year. Marcin and his team have always delivered on time. They are excellent developers that managed to improve and support our product which, at that time, had no documentation left by previous team. 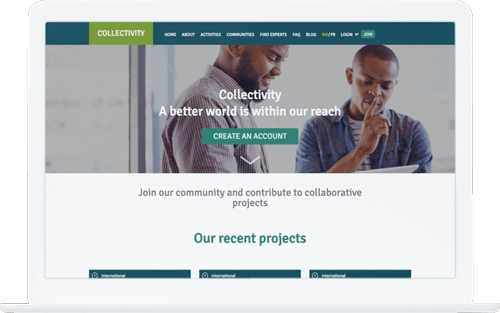 Since the collaboration with Naturaily is very successful I would definitely recommend them to anyone looking for professional Ruby on Rails developers.